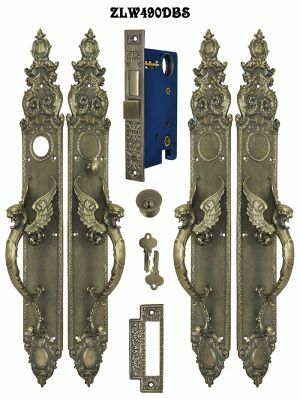 This is a wonderful mythological griffin or dragon motif entrance set for French doors or double entry doors. Each set comes with a keyed cylinder for front entrance use. The head of the dragon is the working thumblatch device. Cast from an antique original...a rare find by Sargent, made just before the turn of the century. 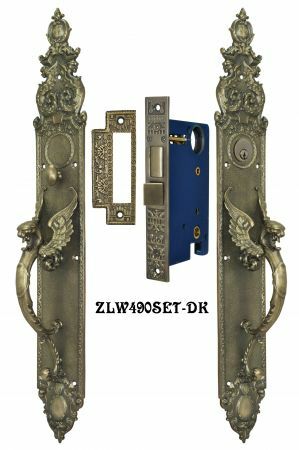 These doorplates are recreated by the Lost Wax casting process, which is the same method as fine-jewelry making, and is enhanced with your choice of mellow brown Antique Brass Finish, or matte black Oil Rubbed Bronze Finish. 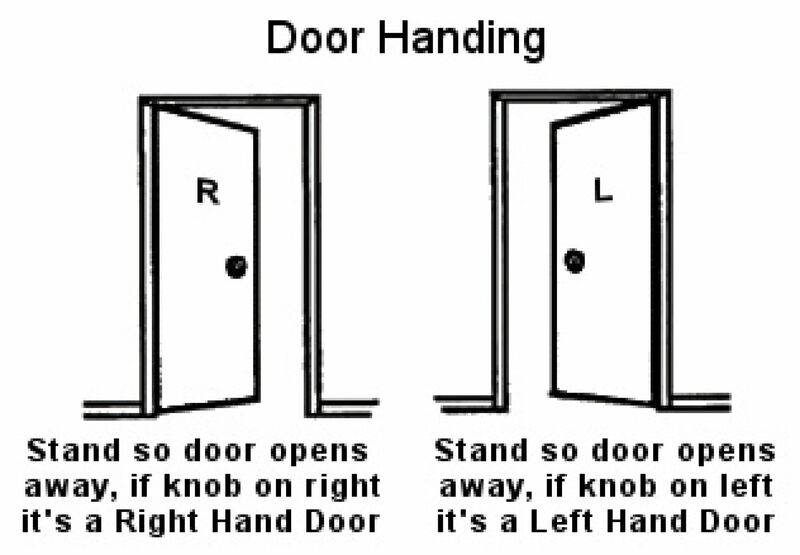 See our Lock Cylinder Size Chart to select the correct cylinder length for your door. Beautiful with Gothic, English Tudor, and Victorian décor, to name a few. Backplates: 23" tall x 3 3⁄8" overall. Lock body measures 5 ½" tall by 3 5⁄8" deep. 13⁄16" thickness. Lock Face: 1" wide by 7 ½" tall. Backset: 2 ½", including the thickness of the face plate. Distance from the center of the cylinder hole to the thumblatch bolt is 4 ¾". 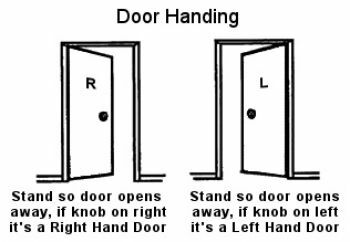 Distance from the center of the bolt throw hole to the center of the door knob spindle hole is 2 ½". Catch plate is 4 7⁄8" long by 1 7⁄8". Please see our Lock Cylinder Size Chart to determine the correct cylinder length for your door. Mounting screws are provided for all pieces of hardware in this set. 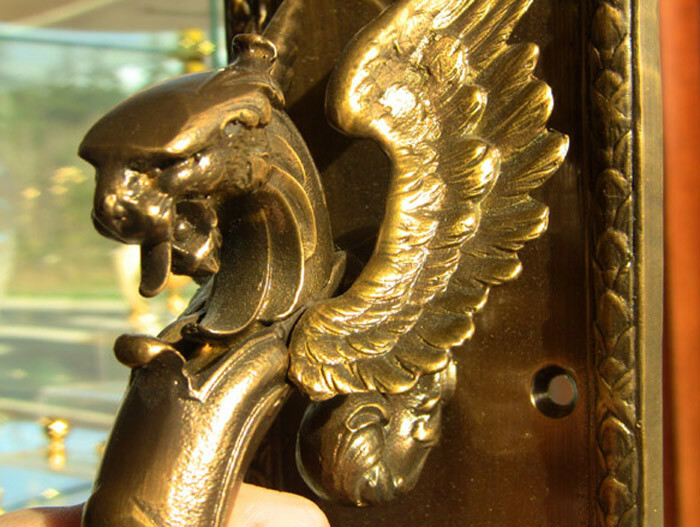 To stabilize and secure the dummy (or inactive) side of your double doors, we offer a number of Antique Reproduction Door Security Bolts on our website.